Geology Glacial drift over Richmond Cherts. 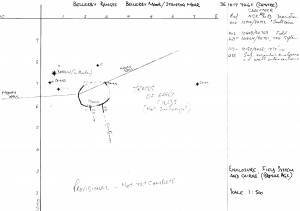 Record Name Stainton-Bellerby Army Firing Range. Oval enclosure, field boundaries and stone cairns. Record Description This enclosure is at the heart of the Bellerby/Stainton Army Firing Ranges and access is forbidden at any time when the red flags are flying and without prior express permission from the Range Officer. Bronze Age Settlement complex comprising: stone banked curvilinear enclosure with associated field system (to be recorded separately), cairn field (to be recorded separately)and round barrow (to be recorded separately). 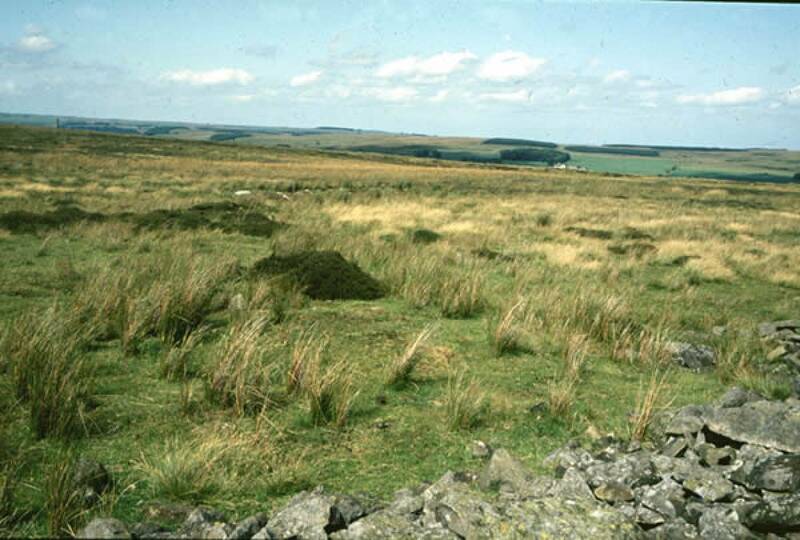 The enclosure, roughly oval 145m x 55m straddles the firetrack and the ruined stone wall which forms the Bellerby, Stainton and Walburn parish boundary. It is partly quarried out for the dry stone wall on the NE quadrant. 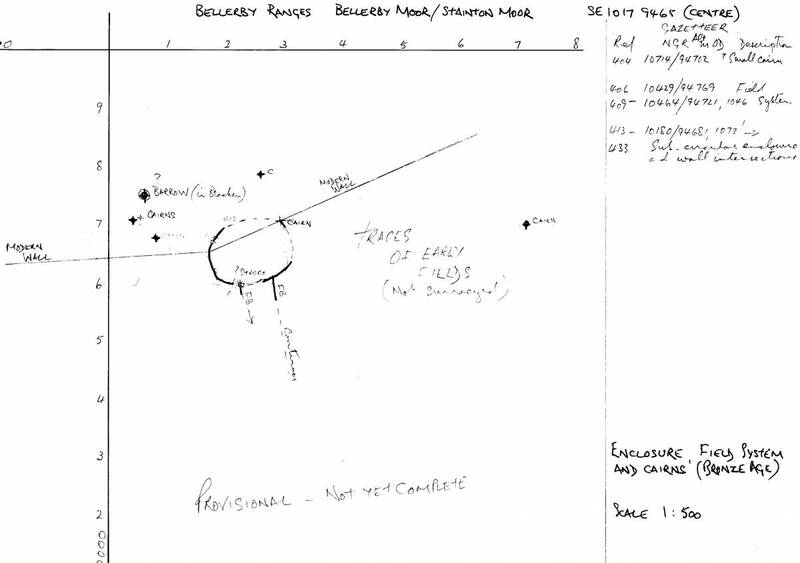 A few stone cairns or clearance heaps and a large mound which is considered to be a possible round barrow are located to the North of the wall, see plan. Stone dump field banks, the remains of an extensive field system are visibly associated with the enclosure. These field banks which extend over a large area to the east of the enclosure, areas as yet unsurveyed. 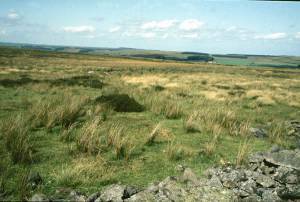 The burnt mound at Stainton/Wathgill Cow Park, located at the edge of a recent small arms range and recorded as SWAAG Database Record No 902 should be included within this settlement complex of Mid Bronze Age character. Additional Notes This is a preliminary record and will be revised and updated following a further visit.